SUPERWANI: Did you...or will you?? It's a very nice morning today. So cool (not cold) that I am feeling fresh when I woke up this morning..hmm..this is what I lov in Japan..we don't really need aircond;p hihi..
Because my surrounding is so refreshing...I decided to do something (something?? ?npk sgt xde keje sampai kene reke keje T_T). Nk wat ape yek? ?sume keje x seronok..
Tp tajuk yg I had in mind all need me to write a long post which I am not in the mood for that right now. 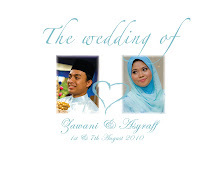 For the ex-b2b, did u guys cried during ur solemnization?? For the b2b, will you?? Yes, I did cried immediately after they said -->SAH. 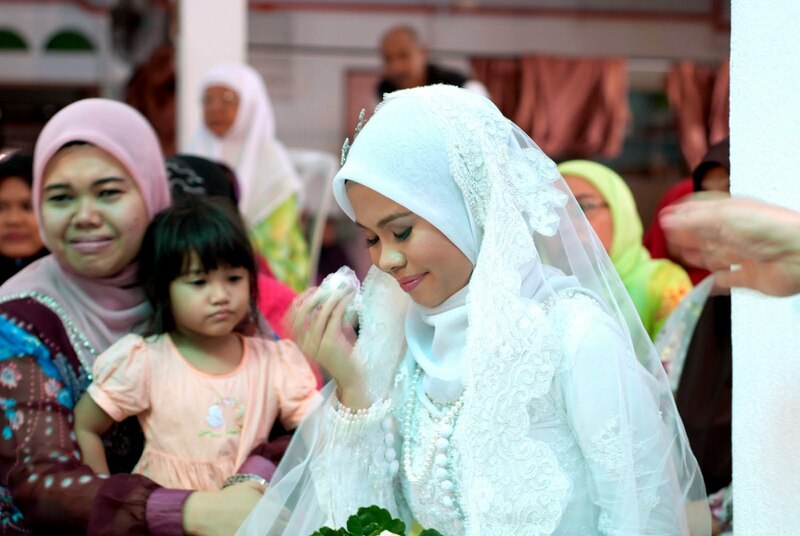 Ok, I think every bride who cried has their own reason for the tears. For me, I was so sedey when I saw my mom n my sister. As for my mom, I was so worried about her. Cause the only child who always teman her doing stuff was me. I was always the one to do the small things with her=( now I am so worried for her. And always I am the one who like to force her taking her meds. Nobody in the house wud have time to do that except me T_T now I have to always message my sister to remind her of that. The one who cries with me in that photo is my sister. Yeah..I cried the most when I hugged her. I was soo sad cause by marrying my hubby ni, my life wudnt be d same anymore. I cannot be the sister who always go jln2 n buang mase with her nymore. A lot of things wudnt be d same. Tambah2, I moved to Japan as soon as I had the wife title. There's a lot of things that I found I lost whenever I was entitled a wife. But, no worries, solemnization ceremony is not at all a sad moment. Everybody around you, especially both families mmg all happy celebrating our union and also theirs la kan.